Home / Inspiration / prayer / How Effective Is Your Prayer? How Effective Is Your Prayer? 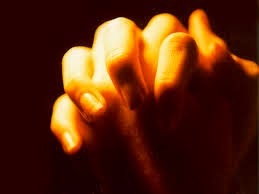 Prayer is an intimate, miraculous, powerful communication with God. It is a strong, personal connection with the Lord that in faith and utter confidence of trust, it can even part seas and move mountains. But there are times when you wonder why you keep on praying for a favor to happen or for something to be given, yet it seems like it isn't heard. You will then doubt if God is listening to your prayers. This is the time to discern the effectiveness of your prayer or if it is about time to start another approach in worshiping God and presenting your requests. · Have Faith. “Therefore I say to you, whatever things you ask when you pray, believe that you will receive them, and you will have them.” -Mark 11:24. Believe and claim as if it has been done. When you entrust and turn over all your concerns to God without reproaches, then through His will it will be given. Luke 1:37 states that “For with God, nothing is impossible.” Everything from Him is perfect. All we have to do is to rest our hope in grace and to have faith with no partiality. The Lord is a Great Rewarder. He knows who is fervently waiting; we just have to hold on to Him and never lose hope. · Pray from the Heart. Since this is a personal communication, treat God as a friend, or a father whom you can sincerely pour your heart out. Humbly ask for the forgiveness of your sins through Christ Jesus and seek help as you surrender yourself to Him. Do not pray in a repetitive manner. Jesus rebukes prayers using repetitions. The Father knows what you need even before you ask Him. · Glorify Him. This is the adoration part wherein you offer praises and glorify His works. The Lord is holy, kind and just. This is the part where you thank Him for all the blessings, small or big that you have received and to Jesus Christ who bore all the pain and died for us for the redemption of our sins. As you pray, always remember to ask it through Jesus .John 14:14 “If you ask anything in My name, I will do it.” Prayers will be heard through genuine faith and a sincere heart. Establish a deeper relationship with the Lord. Repent and totally submit to Him and you will be rewarded. Jessie Dericto, 28 years old is a Freelance Writer, Blogger, Virtual Assistant and a nursing mom. If she is not doing anything, she is either spending time with her family, or doing something artsy.